Summer in the U.S usually kicks off with Memorial Day and l hope everyone had a great 3 day weekend. Thanks to all the veterans who fought for our freedom and way of life. It is so easy to take things for granted. One only has to watch the news about other countries, with so much oppression to realize how well we have it. I am sure there were a lot of barbecues and drinking over the weekend to celebrate. I sort of miss it. This would be around the times we would get the new interns at work. Those poor things, always so eager in the beginning! By summer’s end, we would have lost one or 2 who decide on a different career, once they interact with real life people. Learning about it in class is one thing, but actually living it is quite another. Summer means a crowded Marina! 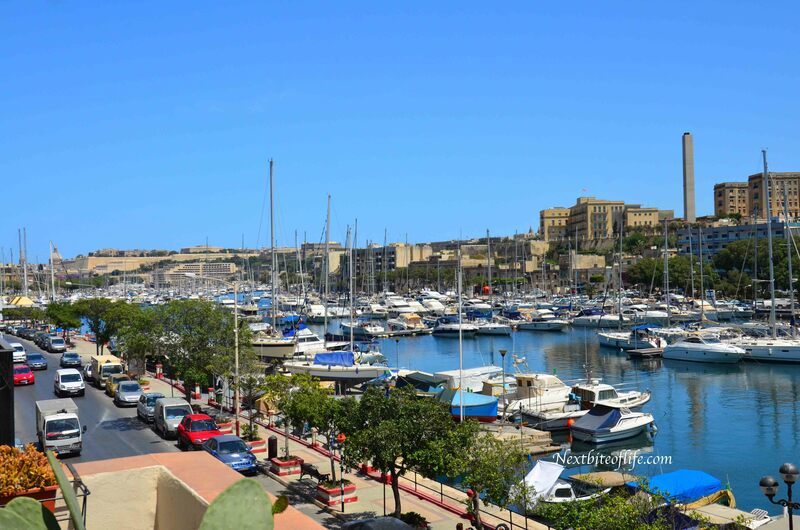 In Malta, summer has been here for over 2 months really. 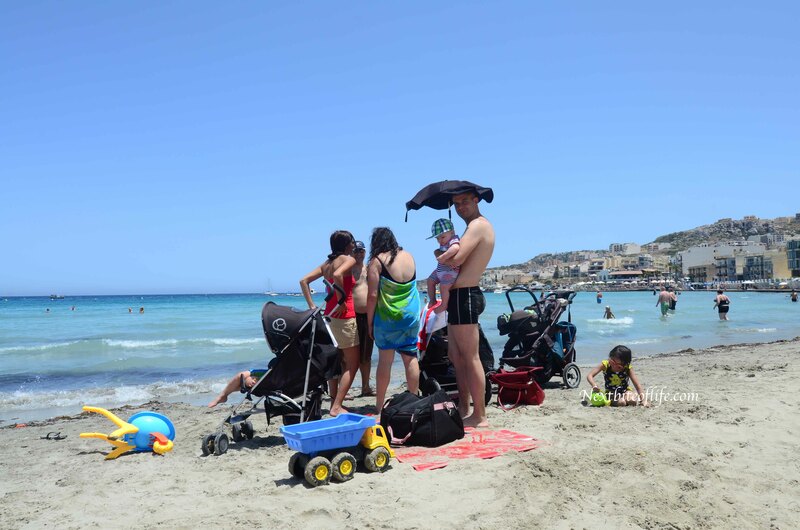 The influx of tourists started around March as the weather turned. This little island of about 350,000 welcomes over 1 million people during the summer season! It is also the time when you hear the rumblings from the old people especially, as the buses get so crowded. It is not unusual to have 3 buses pass you by before one stops because they are stuffed with so many people. A bus ride that takes 15 minutes all of a sudden will now take over 45 minutes, making for a lot of cranky people. We are thankful that we do not have to take the bus often. The grocery store, post office, pharmacy, etc are all within 10 minutes walk of our flat. We do however get to enjoy watching from the relative safety of the terrace. I never get tired of watching the boats taking off or coming back to the Marina. I don’t even mind the booze cruises blaring whatever the latest hit is. Last year was that Robin Thicke song. This year, l expect to be “Happy”, even when l will want to slit my wrists after the 1000th time hearing it!!!! I like to dream of owning one of these beauties someday. 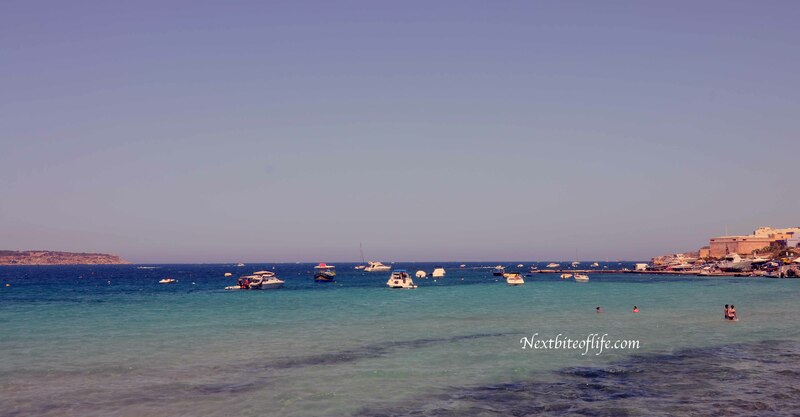 These images are from one beaches in the North, in Mellieha, called Ghadira Bay , and is my favorite. I , especially love it because, as you know, yours truly is not a swimmer. I have, however learned to float since we’ve been here. This beach, and the one next to it for that matter is shallow for what seems like a mile (a bit of an exaggeration, but pretty close ), and the water is so clear. I believe it is considered one of the best in Europe and the world. 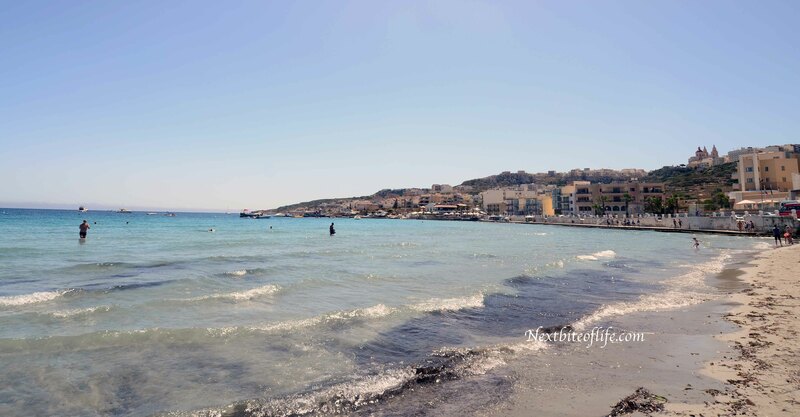 Malta has a lot of rocky beaches as well, so it is very common to see people swimming pretty much everywhere in the city, and you don’t have to journey North or South. Our closest place is about a 7 minute walk from us. An example of a “watering hole”. The veggie truck also stops here. 2 birds with one stone! Are you ready for the summer? 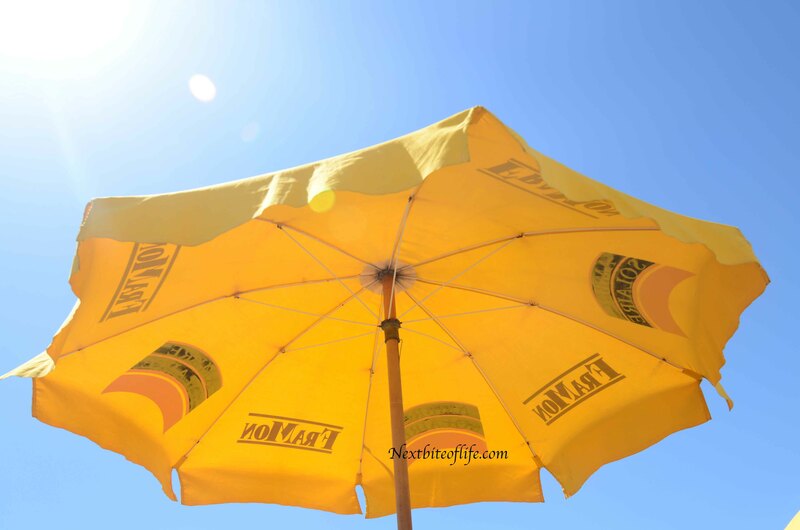 Do you have any wonderful plans to get away or is a Staycation in the cards? 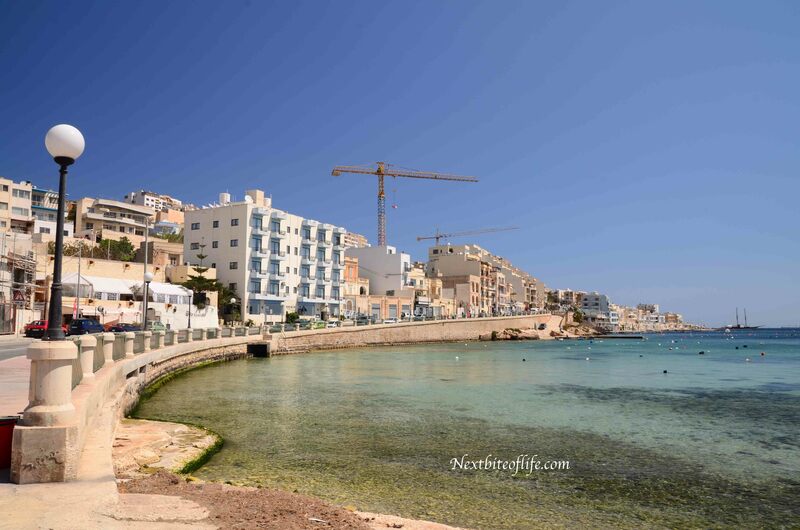 Love getting to know Malta better! I would imagine getting sick of the popular songs being blasted over and over again. I’m already way over that song Happy. :) This summer it’s pretty much a staycation for me until Fincon in Sept. Not really a vacation…well it kind of really is. Not relaxing at all, but really fun. Yes, it is certainly interesting to be on the other side. I will probably join the grumblers..lol! I don’t blame you for trying to escape the heat.. I don’t miss that part of Houston. I love Vancouver!!!! Sounds like you’re going to have a great summer. Cool!!! I’m ready for the summer kemkem! I love tourists as living in Berlin, I know the importance of the tourist dollar but I also understand the weariness of locals. I remember almost bumping into someone’s backgarden in Portugal and he wasn’t happy. I thought it was a cute artifact. It wasn’t. It was his home so I try to be as sensitive as possible. I’m going away for summer, but summer in my city is amazing. Hurrah! Hah hah! I can only imagine the poor homeowner’s face! I try to be understanding at the frustration because like you said, the country depends heavily on the tourist money. I hope l get to meet you before you jet off for the summer ;o) , looking forward to it. Where are you off to then? Oh! I am so jealous!!!!! 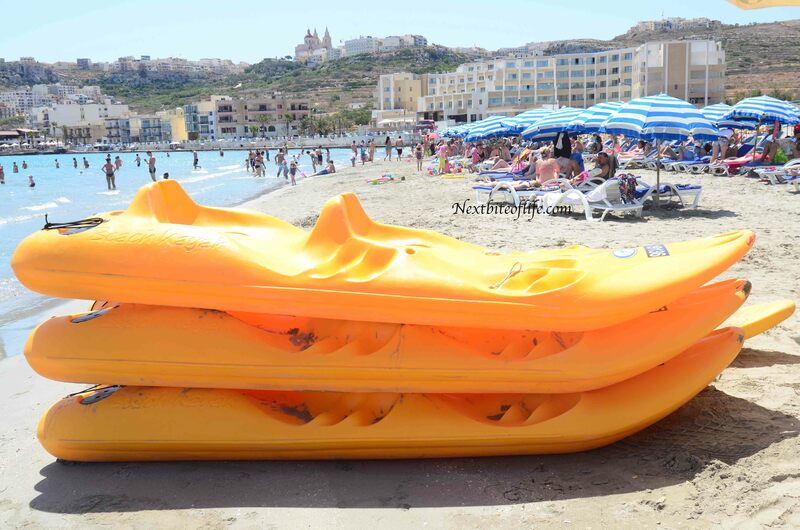 Wow, beautiful beaches in Malta. Thanks for sharing the pics. That Happy song has gotten so overplayed here in the USA. GMA decided to use it for all it’s promos and I think most people are sick of it by now. It’s a staycation for us this summer. We have plans to travel next year. I have heard it just a handful of times, but l can see how it can get old really quickly!!! 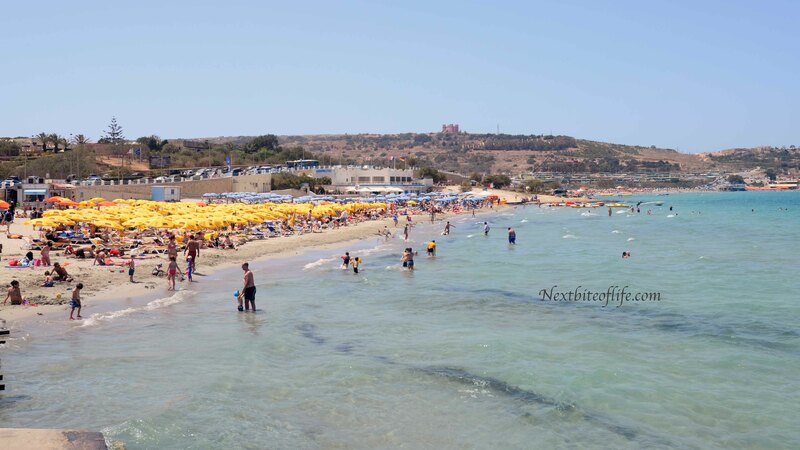 Malta does have some really nice beaches, this is the North, but there are some in the South as well that we haven’t visited. A staycation is always god too, as long as you do relax!!! Thanks for the comment.